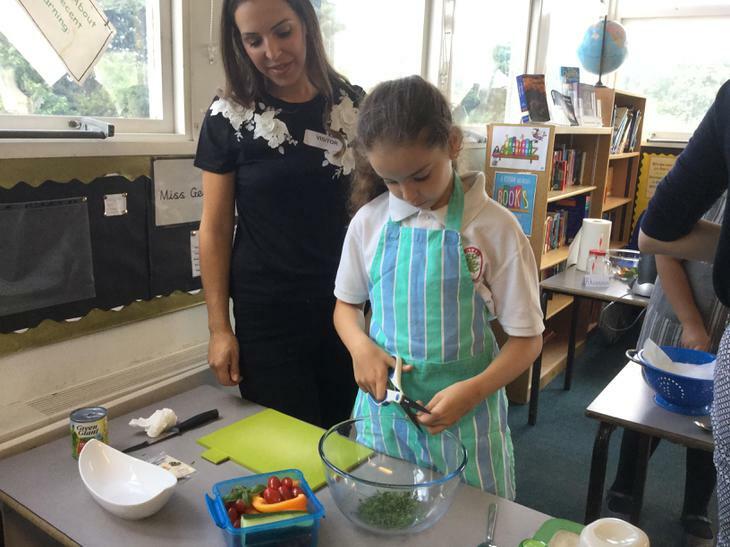 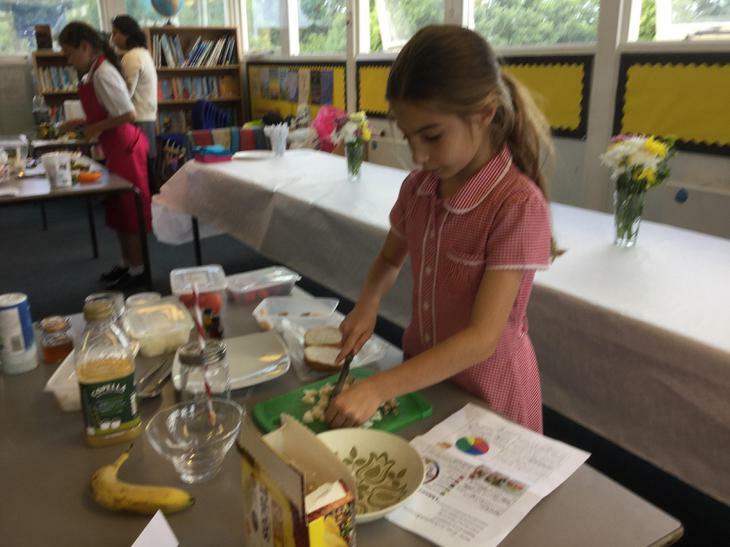 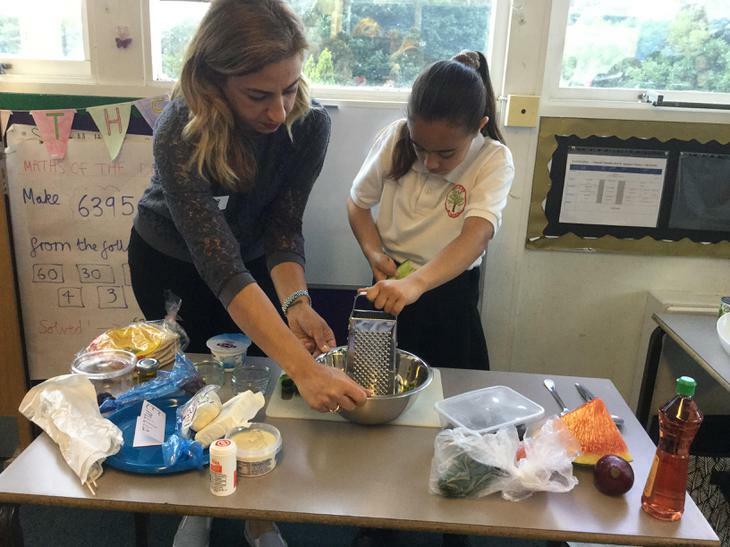 Year 4 children took part in the Healthy Lunch Challenge. 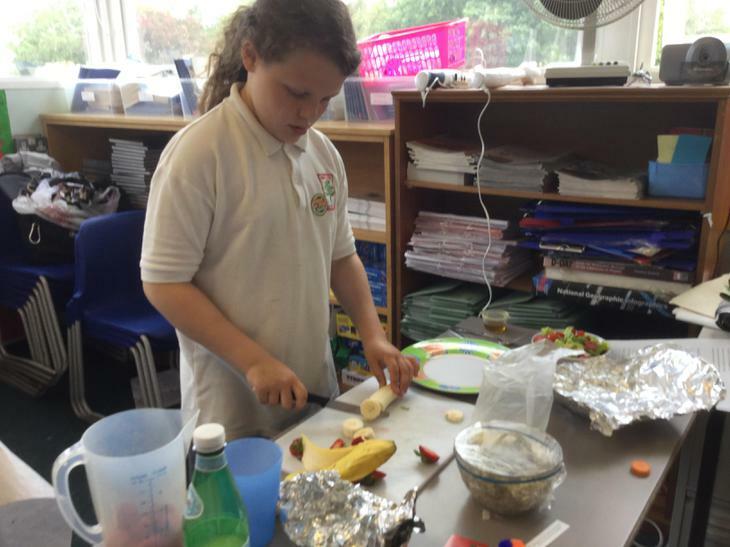 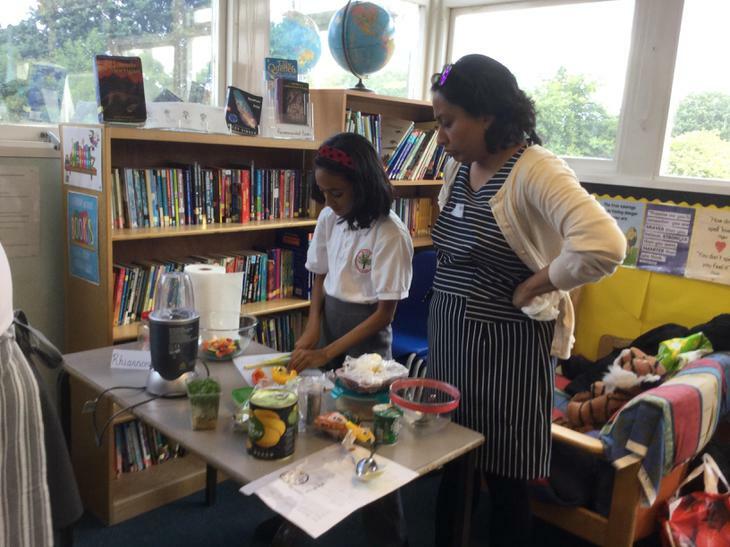 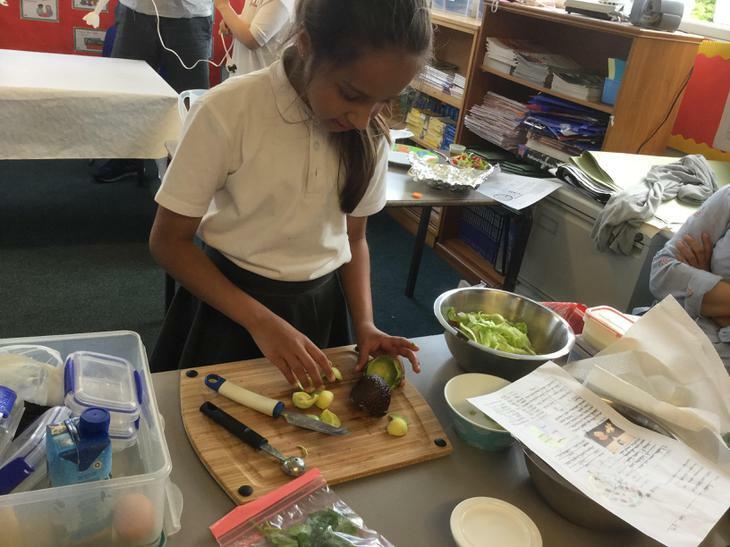 Every child had to design a healthy cold lunch for one person within a budget of £4.00, as part of their May half term homework. 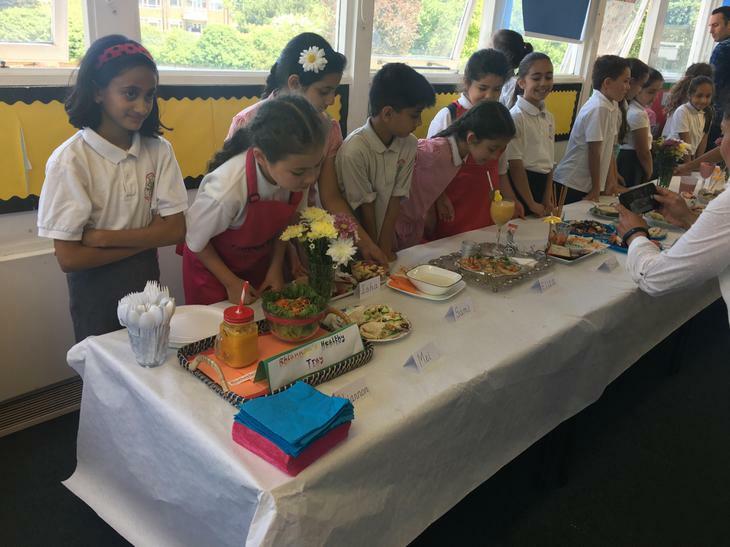 14 entries were chosen to go through to the final 'Cook Off'. 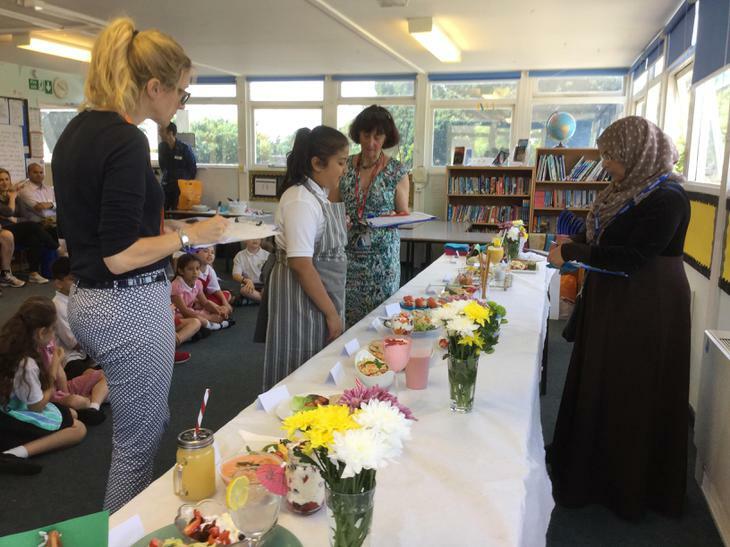 The standard of the entries was extremely high this year. 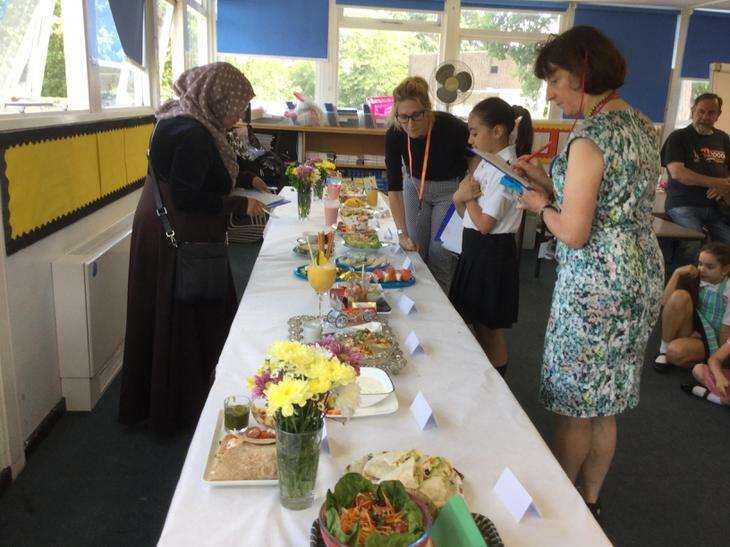 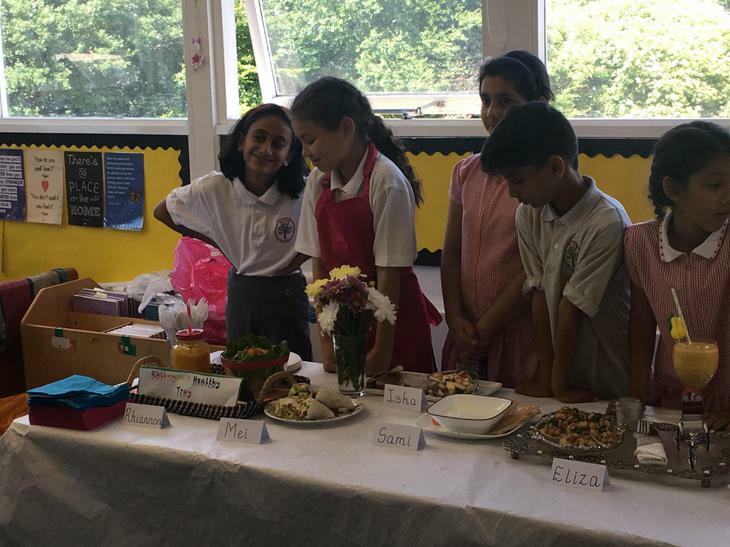 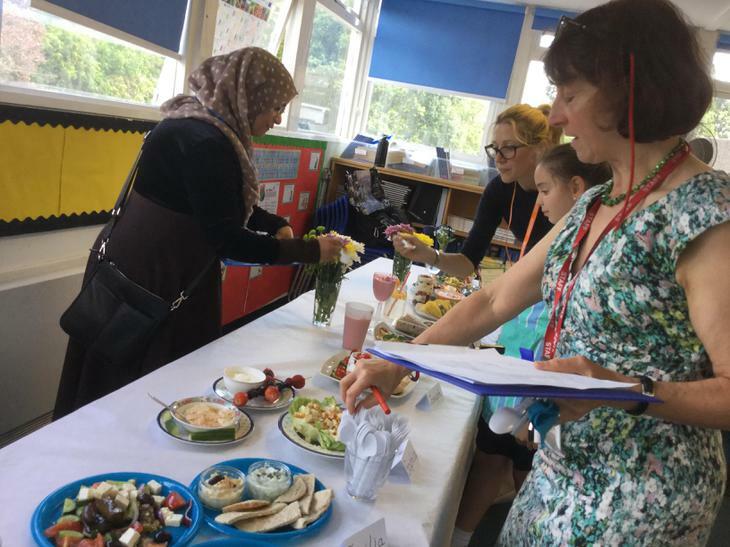 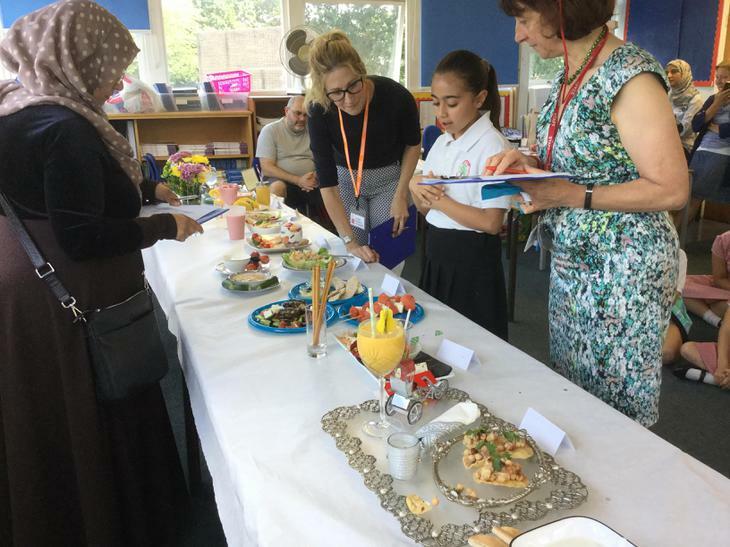 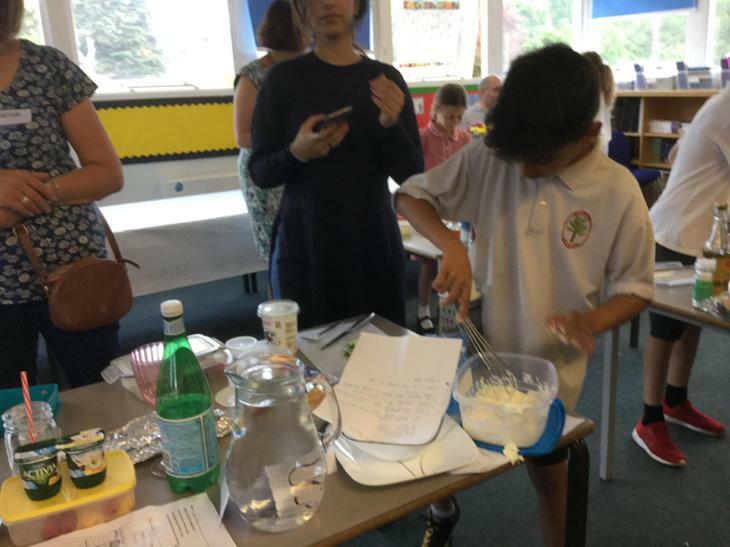 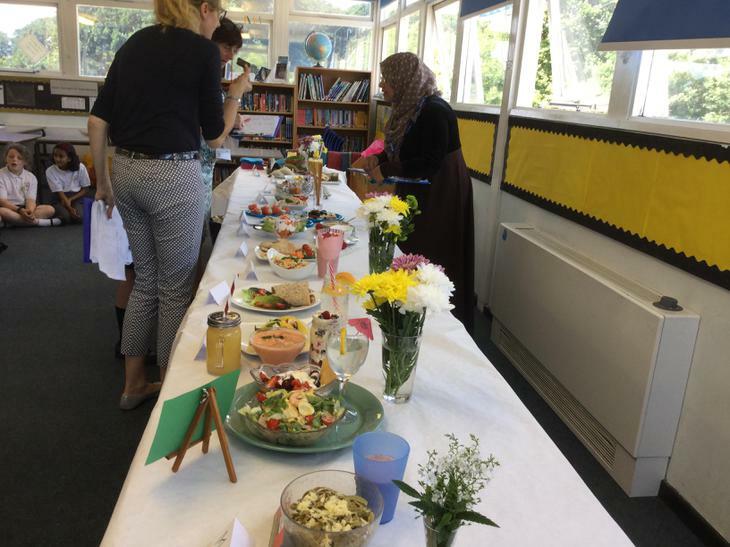 All the children did a fantastic job, as you can see from the photos, which made it an extremely tough decision for the judges - Mrs Warhurst, Alison Bowman (Chair of Governors) and Yas Ahmad-Safi (Chair of Friends). 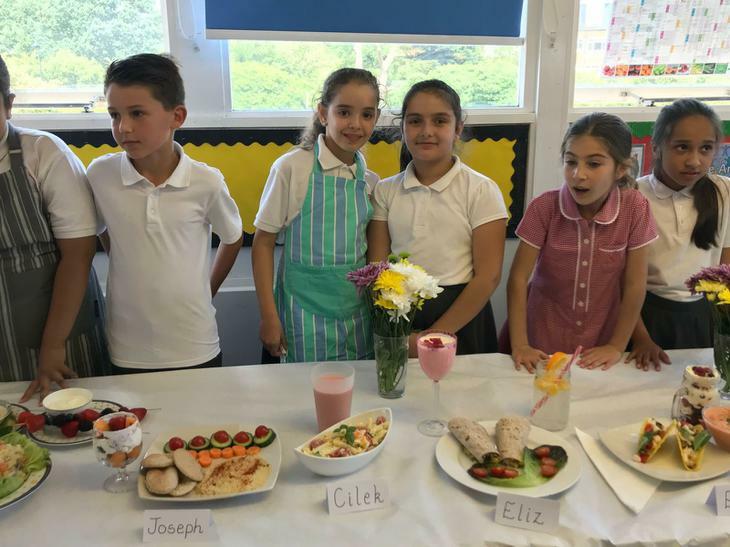 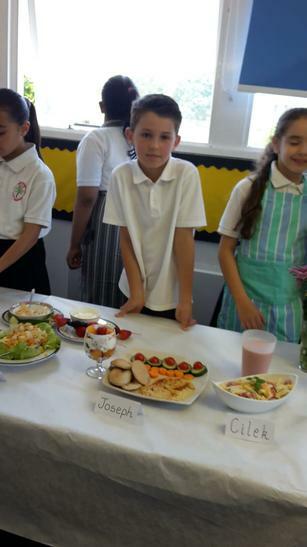 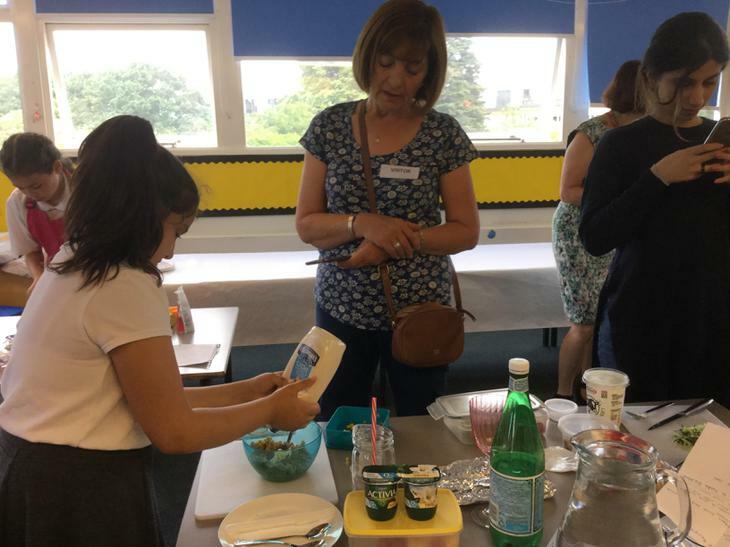 In first place was Sumer (40) with rainbow prawn and pasta salad with tantalising herby dressing, supreme layered yogurt sundae and coconut water. 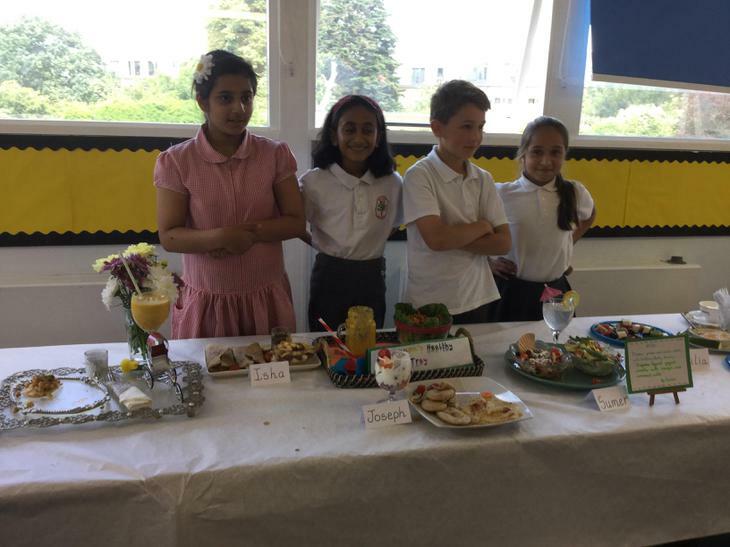 In joint second place - Rhiannon (4D) and Isha (40) and Joseph (40) was third.